Posted by Yilan in Bulgaria, Human rights, Human rights abuses, Israel, Macedonia. Soccer has always been a sport that lends itself to drama and it has been the source of many great stories that resonate beyond the field of play.In addition to the frenetic thrills and spills of the game itself, the universal popularity and cross-border appeal of association football means that many stirring moments in the sport’s history also end up being celebrated as part of a nation’s folklore.For example, the infamous “death match” between prisoners of war, who were former professional soccer players with Kyiv teams, and soldiers from the Nazi Wehrmacht has become the stuff of legend in both Ukraine and beyond. It’s such an enthralling story that it has easily lent itself to movie adaptations — inspiring a number of films such as “Escape to Victory” starring Sylvester Stallone as well as the controversial “The Match,” which sparked a major controversy ahead of the Euro 2012 finals, which Ukraine co-hosted. .
Now, a Macedonian filmmaker has given the cinematic treatment to one of his country’s most venerated soccer stories, which has also sparked a row. Darko Mitrevski’s “The Third Half,” which premiered at a festival in Bitolathis week, tells the tale of the short-lived Skopje football club FC Macedonia. Playing in the Bulgarian league at a time when Macedonia didn’t officially exist, and coached by Jewish trainer Illes Spitz, this team defied all the odds to reach the Bulgarian national league final of 1942. Mitrevski’s movie is essentially a love story based on the life experience of Macedonian Holocaust survivor Neta Cohen. “The Third Half” depicts how a young Jewish girl from an affluent family defies her parents by dating a poor Macedonian football player. But their love overcomes this parental hostility and even saves the girl’s life because she manages to escape being deported to Treblinka by eloping with her boyfriend. It’s not surprising therefore, that “The Third Half” has already been nominated as the Macedonian entry for this year’s Best Foreign Language Oscar. According to Balkaninsight.com, only 2 percent of Jews from Macedonia survived the Holocaust and some historians have intimated that Bulgaria handed them over to appease the Germans for protecting their own Jewish population from the Nazis. Mitrevski has denounced the Bulgarian allegations, which he described as “foolish reactions.” He has also slammed the use of what he calls “Goebbels-like production machinery” to deny Bulgaria’s role in the Holocaust. Ironically, despite the heated debate surrounding the movie, the real controversy for most hard-core football fans has nothing to do with historical accuracy. To this day, there are many people who still feel that the Skopje club was denied victory in the league final against Levski Sofia because of biased decision-making by referees who had conspired to ensure that a “non-Bulgarian” team would not win the national championship. In 2010, FC Macedonia’s last surviving member, goalkeeper Vasil Dilev, indicated that there was no doubt his team were by far the better footballing side, thanks to the tutelage of the legendary Spitz. Posted by Yilan in Israel, Macedonia. The Ministry of Defence of the Republic of Macedonia and the Israeli company Elbit signed an agreement on December 28, 2010, for opening of the Pilot Training Centre after two years of detailed analyses of the aviation WING and the ARM needs. The Centre will educate pilots for the needs of the MOD and the MOI, as well as for the needs of the other state institutions. This is first Centre of this type in the SEE countries and the benefits are expected to become visible in several years when it is planned to grow into a Regional centre. According to the Defence Minister Zoran Konjanovski, this project means education excellent investment and security, as well as capital for the Republic of Macedonia and its justification will be evident in only several years. The Ministry of Defence, that is, the Republic of Macedonia in the following eight years enters the pilot training project with 5.3 million Euros, while the other part, which according to Konjanovski is classified in a way as “state secret” compliant to the agreement will be covered by the Israeli Elbit. The agreement specifies that following the envisioned eight partner years, the overall equipment and technical assets will be transferred to the MOD, that is, the Republic of Macedonia. The expectations for next year are start of the training of the first generation of pilots in the Centre and at the beginning the training will be carried out by instructors from Elbit, and then this role will be gradually taken over by Macedonian personnel – instructors. “This project means a step forward in comparison with many NATO member states. In the upcoming period the overall required infrastructure for the Centre will be constructed – hangars, classrooms and simulators,” stated Konjanovski. Dragan Nedelkovski from the aviation WING of the ARM, who has been involved in the analysis process, emphasized that the operational, that is, technical personnel in the WING will be able for the first time to focus on their operational tasks. “To date, in addition to the operational tasks, the overall pilot educational process was also carried out, which is a very responsible task for a small composition such as ours and its took a lot of energy of the pilots who were engaged in the execution of their daily tasks,” underlined Nedelkovski. To date, the training per pilot cost over one million Euros. Posted by Yilan in Israel, Turkey. Related Stories Executives of Israel’s defense industry, the most advanced in the Middle East, are reportedly talking to NATO-member Greece about a possible multimillion-dollar sale of advanced weaponry. The negotiations follow the breakup of the Jewish state’s strategic alliance with Turkey, Greece’s longtime rival, and come amid a major geopolitical realignment in the region as Turkey and Iran draw closer. The Post gave few details but said the systems under discussion “could include weapons systems” for the Greek air force’s fleet of 120 Lockheed Martin F-16s of various models. A Greek military official concerned with defense procurement who was in Israel on a weeklong trip earlier in December said he was involved in the purchase of unmanned aerial vehicles. Israel is a world leader in that field. The state-owned Israel Aerospace Industries, which manufactures UAVs, also specializes in upgrading F-16s, which the Greek air force uses extensively. IAI and other Israeli defense companies have developed world-class electronic systems for the F-16, as well as other U.S.-produced weapons platforms. Israel’s defense industries did lucrative business with Turkey’s military, with an annual turnover of some $2.5 billion a year in recent years. Greece is grappling with severe economic problems and is unlikely to generate the same level of sales as its archrival. But Greek Prime Minister George Papandreou, who boasts many Israeli business contacts, is committed to upgrading his country’s armed forces and transforming them into the major bulwark of NATO in the Balkans and eastern Mediterranean in place of Muslim Turkey. “One of the obstacles in the way of the deal is Greece’s poor economy but officials said they were seeking creative ways for Greece to pay for the systems and enable the deal to materialize,” The Jerusalem Post observed. The deal has apparently been in the works since July when Papandreou visited Israel. Israeli Prime Minister Binyamin Netanyahu reciprocated the following month, the first Israeli leader to visit Athens. This exchange followed a secret meeting in Russia between Netanyahu and Papandreou some weeks earlier. Diplomatic sources say the Greek prime minister initiated the approach because he saw an opportunity for Athens to replace Ankara in Israel’s strategic worldview. The Greek move wasn’t directly linked to the split between Israel and Turkey, ruled by the Islamist party of Prime Minister Recep Tayyip Erdogan, which had been worsening for some months. The rupture culminated May 31 when Israeli naval commandos killed nine Turks aboard the Turkish vessel Mavi Marmra carrying relief aid to the Palestinians in the besieged Gaza Strip. Israeli sources say the blossoming relationship with Greece has been evolving since the summer of 2008 when Papandreou permitted 100 Israeli F-15I and F-16I strike aircraft to use Greek airspace to practice long-range flights and in-flight refueling. These were widely seen as an Israeli rehearsal for pre-emptive strikes against Iran’s nuclear facilities. According to the sources, Papandreou allowed the Israelis to carry out mock attacks against powerful S-300PMU air-defense missile systems Athens bought from Russia in 2000. At that time, the Israelis feared that Moscow was going to supply Iran with five S-300 batteries under an $800,000 contract signed in 2007, with others going to Syria. In the face of intense U.S. pressure, Moscow hasn’t delivered these systems. Israel’s military and intelligence relationship with Ankara dates to 1949, when Turkey, a secular state, became the first Muslim country to recognize the infant Jewish state. In 1996 they signed a landmark military cooperation agreement. That resulted immediately in contracts worth $700 million to modernize Turkish military systems. That allowed the Israeli air force to use Turkish airspace, bordering Iran, to practice long-range strikes that Israeli pilots cannot carry out at home because of Israel’s small size. With Turkey out the frame now, the Israelis are turning to other countries in Europe with which to coordinate joint exercises. Over the last year, Israel has conducted four exercises in Greece, most recently in October and November. These are being extended across the Balkans to Bulgaria, Serbia, Montenegro, Macedonia and Croatia. Israel’s ambassador to Greece, Arye Mekel, was on the phone with a journalist earlier this month when the call came in that Israel’s Carmel region was up in flames. The Israeli prime minister needed to speak urgently with his Greek counterpart. Mekel quickly located Greek Prime Minister George Papandreou in Poland, where he was meeting with the Polish president. But a Papandreou aide told Mekel the meeting could not be interrupted. “Tell him Bibi Netanyahu wants to speak with him urgently,” Mekel pressed, using the Israeli prime minister’s nickname. A few moments later Papandreou was on the phone. In just hours, five Greek firefighting planes were in the skies along with a cargo plane loaded with spare parts, mechanics and pilots. Benjamin Netanyahu greeted them at the airport. The quick response by Greece was a sign of the increasingly close relations between two Mediterranean countries that until 18 years ago did not even have diplomatic ties. 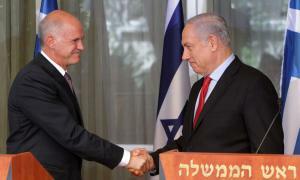 Papandreou visited Israel in July, and the following month Netanyahu made the first-ever trip by an Israeli prime minister to Greece. In October, the two countries held joint military exercises. The Conference of Presidents of Major American Jewish Organizations recently announced that Greece would be the site of its annual leadership mission in February. The subtext behind the sudden flurry of activity between Greece and Israel is the crisis in relations between Israel and Turkey, Greece’s chief rival. Those ties, already on the skids, took a nosedive after the flotilla incident of May 31, when nine Turkish nationals were killed in a clash with Israeli commandos aboard a ship trying to break Israel’s naval blockade of Gaza. After the incident, Turkey canceled joint military exercises with the Israelis and withdrew its ambassador to Israel. With Israeli Air Force pilots no longer able to train in Turkish airspace, and the Turkish market for Israeli military hardware and other exports at risk, Israel turned to Greece. Conditions appear ripe for a boost to Greek-Israeli relations. For Israel, nearby Greece would seem to be a natural ally in a Mediterranean region dominated by Islamic countries. For Greece, which is in the midst of a severe financial crisis, friendship with Israel is seen as a great asset, particularly due to Israel’s perceived closeness to the administration in Washington. By the same count, Papandreou hopes Greece’s closeness with Israel will convince Diaspora Jews to invest in Greece and support Greece in international disputes. This wouldn’t be too different from the approach Israel and American Jewish organizations took vis-a-vis Turkey until recently — for example, opposing efforts to have the Turkish massacres of Armenians officially labeled as a genocide. Greece also seeks an expanded role as a mediator in Middle East peacemaking — a role that until recently was occupied by Turkey. “Greece could contribute in a positive way,” said the country’s foreign minister, Dimitris Droutsas. By capitalizing on its close ties with the Arab world, Greece could be a source of trustworthiness, confidence and objectivity for both sides, he said. For the time being, trade and tourism between Greece and Israel are growing. Approximately 250,000 Israeli tourists will have visited Greece in 2010, a 200 percent increase over last year, and bilateral trade stands at approximately $140 million, according to Mekel. The American Jewish organizational world already appears to be on board. Aside from the Presidents Conference mission, Jewish organizations lined up behind a U.S. congressional resolution on Oct. 1 asking Turkey to respect the cultural heritage and the religious sites of the Greek Cypriots in Turkish-occupied northern Cyprus. Turkey invaded the Greek-speaking island in 1974 and retains control of its north. Israeli tourism to the Greek-speaking southern part of Cyprus, a Mediterranean island nation, is robust. It’s all a major turnabout for two countries that until two decades ago didn’t really get along. In the 1980s, Greece was widely considered the most hostile country to Israel in Europe. Andreas Papandreou, the father of Greece’s current leader, was prime minister, and he pursued a policy of cozying up to Arab regimes. Greek officials recognized the PLO in 1981, and it wasn’t until Andreas Papandreou left office that Israel and Greece established formal diplomatic ties, in 1992. They’re catching up fast. Just three weeks after Papandreou visited Israel in July — the first visit since Greek’s then-premier, Constantine Mitsotakis, visited Israel in May 1992 when his country first recognized the Jewish state — Netanyahu spent a few days in Greece. The two prime ministers, both of whom speak flawless English from time spent living in the United States, appeared to be hitting it off as old friends, even cruising the Greek islands together. Since then the official visits have been fast and furious. Droutsas, Greek Minister of State Haris Pamboukis and Culture Minister Pavlos Geroulanos all visited Israel. On the Israeli side, the director of political and military affairs at the Defense Ministry, Amos Gilad; Deputy Defense Minister Matan Vilnai, and minister without portfolio Benny Begin all have gone to Greece. One area where Israel doesn’t have too many friends here is in the media. Influenced by 40 years of cultivation by pro-Arab and anti-Israel politicians, the Greek media have a mostly unfavorable view of Israel. But that also has started to change. Mekel, a former journalist who appears frequently on Greek media, says there has been more positive coverage recently of Israel. The improvement in Greece-Israel ties obviously has been welcomed by this country’s small Jewish community of about 5,000. Parliament Speaker Trajko Veljanoski and his Israeli counterpart Reuven Rivlin at a meeting in Jerusalem on Wednesday reaffirmed the positive trend in countries’ relations and concurred to intensify bilateral cooperation in several spheres. Welcoming Speaker Veljanoski at a plenary session before Israeli deputies, the Speaker of the Knesset – Israel’s parliament – Reuven Rivlin thanked the Macedonian government, especially PM Nikola Gruevski for his “extraordinary efforts” to organise and finance the construction of a Holocaust Memorial Center in Skopje. Parliament Speaker Veljanoski invited his Israeli counterpart to attend the opening of this center, which is expected in March 2011, MIA reports from Jerusalem. “Friendly relations between Macedonia and Israel have been reaffirmed with the warm welcome organised at the highest level. Thus, a message was conveyed that countries’ relations are such that even other countries may be envious,” the Parliament Speaker noted. 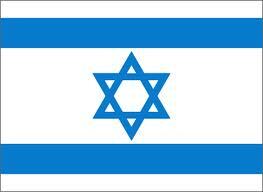 Macedonia, he added, has been and will be supporting Israel. “Israeli top officials have pledged support for Macedonia, at political and economic level. It is crucial our country to have such backing,” said Veljanoski who is accompanied by members of the Macedonian parliamentary group for cooperation with the Knesset, Pavle Trajanov, Slavica Grkovska and Xhevad Ademi. Macedonian and Israeli MPs pledged to intensify bilateral parliamentary collaboration in the future. “One of the most vital challenges facing multicultural societies, such as Macedonia and Israel, is the establishment of a common national experience, not only in formal, but also in the true sense of the word,” stressed Knesset Speaker Rivlin addressing the parliamentary session. This “experience”, according to him, despite the cultural, language and traditional differences can lay foundations for joint democratic values. “In countries like ours, implementing democratic principles is not a trivial issue or a simple slogan, but a daily test. It is a test in which parliamentary democracy plays an important role by defending the rights of both minorities and the majority,” Rivlin said. The Macedonian Parliament Speaker was welcomed at an official ceremony by his counterpart Rivlin in the Israeli Parliament. Moreover, Veljanoski laid wreath on the monument of the fallen in Israel’s wars. In the course of his official visit to Jerusalem, Veljanoski is scheduled to meet with Israeli President Shimon Peres on Thursday.